There is a metric TON of confusing search results about Google Authorship on WordPress.com. To be crystal clear, these instructions are NOT for bloggers running your own WordPress.org download with all the cool markup plugins or access to edit PHP headers. As of this writing, there are basically 2 answers to claim authorship on your WordPress.com posts and get your picture with search results in Google: 1) WordPress.com Support Forum says it can’t be done and 2) Mike Otgaar’s Authorship Markup for WordPress.com. I would like to sincerely thank Mike Otgaar, as his approach definitely does work. However, it wasn’t until I started trying to verify authorship with other profiles like Kevin Fream on Squidoo, that the real epiphany occurred. Google is definitely to blame for all of the confusion, as the Manage links in your profile instructions lead you to believe you should put any About links in Other Profiles. This explanation is fine for YouTube, Twitter, Facebook, or others. However for authorship of content, the real secret is to put the link to your blog about or author page URL on the “Contributor to” links of your Google Plus profile. Most people incorrectly assume this area is the URL for your blog like http://blog.yourblog.com, rather than the actual http://blog.yourblog.com/about. So once you understand the rules of the game, the process of linking your Google Plus Profile to your blog about page really is simple. Google Plus About “Contributor to” links http://blog.kevinfream.com/about/. Don’t worry about noise you may read on the web about adding rel=”me”, because Google does that for you. Your blog about page could be named “author” or even your name or whatever, just so it contains the link explained in the next step. Virtual CIO About page links to Google profile with the following HTML: <a title=”Kevin Fream” href=”https://plus.google.com/104331405514236824637” target=”_blank” rel=”me”>Kevin Fream</a>. Just add a sentence with this code using the Text tab in Edit Post somewhere in a paragraph or as the signature or closing. Change the title to something like “My profile on Google+”, 143314005514236824637 with your unique Google identifier, and my name with yours. Using this approach, you don’t have to add any code to the sidebar or the bottom of each post. Test with the Google Rich Snippets Tool using a URL from your blog such as http://blog.kevinfream.com/2012/11/07/first-in-google-is-not-the-goal/. It should verify and your picture should begin showing with search results in 2-3 days and if anyone copies your posts, we will all know the real author. If you found this post helpful, please like or share below. Thanks for this I am trying it on my blog at martinsoler.com (it’s not self hosted it’s a wordpress.com blog). when I test it on the about page it works but not on any other pages. Any ideas? Change to text view when editing that page, take out the extra quotes, and try to verify again. Thank you! There were extra quotes when I copied the code above, but after getting rid of the extra set it worked! Thanks a lot for posting this, because nothing else was working for WordPress.com for me. I’m attempting to set up Google authorship for my Catfishing Basics WordPress.com blog (www.catfishingbasics.com). I followed Kevin’s instructions; however, I didn’t see my Google+ profile pic when I entered my URL in Rich Snippets. Does this mean that I did something incorrectly? Please advise. Brad – The anchor text link for your Google Plus profile on the About Catfishing Basics page should really be your full name Brad Hierstetter, instead of Brad H. Ultimately, this may not prevent verification in the Rich Snippets Tool, but the whole idea is to plainly identify the author and make anonymity irrelevant. The rest of the code looks fine. 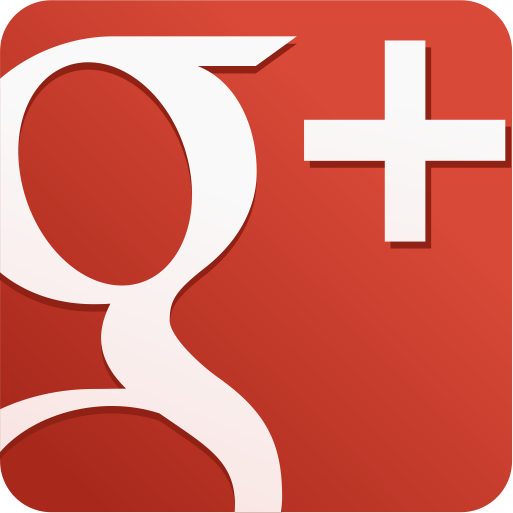 On your Google Plus about page, move your Other profiles link for About Catfishing Basics to the Contributor to. Then test one of your blog post urls in the Rich Snippets Tool and it should verify. I’ll have an update to this post soon. Note, if you have an e-mail address at catfishingbasics.com, you can also verify authorship by e-mail. That’s quite a catfish! THANK YOU for visiting my blog. I’m new to building sites and I was wondering if having your blog title relevant to your articles and other content really that crucial? I see your title, “WordPress.com Google Authorship | Virtual CIO ” does appear to be spot on with what your website is about yet, I prefer to keep my title less content descriptive and based more around site branding. Would you think this is a good idea or bad idea? Any kind of help would be greatly valued. The title tag and keywords are critical as the keywords your audience uses to search. Use titles that answer the questions people would want to know about your products/services, as they aren’t likely to know or start off searching for your company name or brand. This article worked for me. Finally verified! Thank you! Nikolay – You’re welcome and I’m glad I could help. to you? Many thanks, to you! Absolutely, THANK YOU for subscribing. So I went to your blog and don’t see any code or link for Google Plus on your about page. Please take another try and if you leave the code in place I’ll be able to help troubleshoot.